Diamond-coated rifflers cut faster and leave a smoother finish than ordinary steel rifflers. They'll work on wood, plastic, ceramics, metal, glass and just about anything else. And, because the abrasive is made of genuine industrial diamonds brazed to nickel-plated steel handles, they last far longer than ordinary steel rifflers. All rifflers are diamond-coated on all sides. 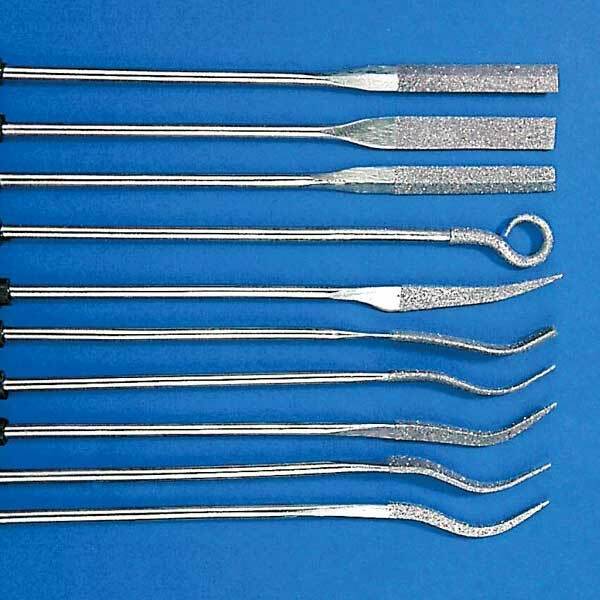 Diamond Riffler File Set includes 10 assorted shapes. Fine grit. 5-3/4 inches long.